Hurricanes this season have taught us it is imperative to be prepared for emergencies and have a plan in place. It appears many people were unprepared for the severity of these storms and found themselves stranded and helpless in their homes. 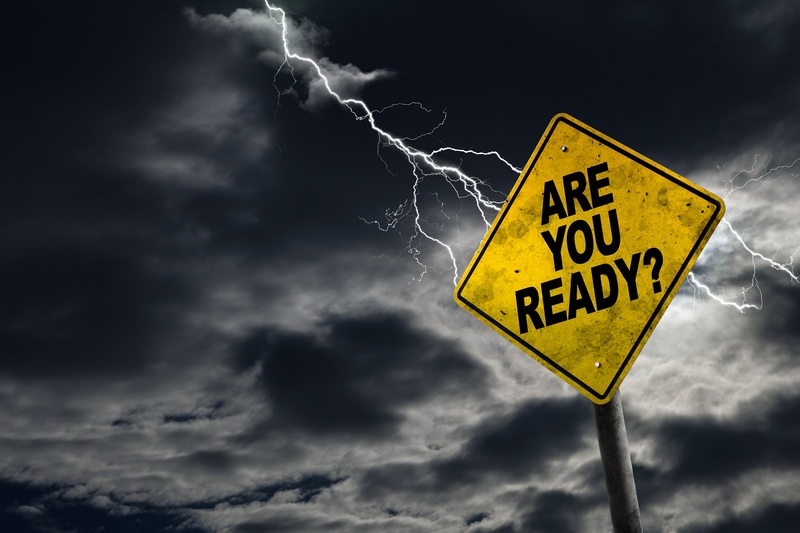 So what are some ideas on how to be prepared for emergencies? Have a plan in place for household emergencies such as fire, gas leak, or any other situation which may require leaving your house abruptly. The plan should include where you will all meet after leaving the house, how to escape rooms other than through a door, to leave all belongings inside and never to go back into the home (even for pets) until emergency personnel gives the all-clear. Practice your plan! Especially with small children! Make sure you understand what your insurance covers. Did you know most standard homeowner’s and business insurance policies do not cover flooding? Even from extreme weather conditions? If there is a possibility of flooding in your area, ask your insurance agent about supplemental flood insurance. In fact, if your home is in high-risk flood areas and you have a mortgage through a federally regulated or insured lender, you are required to purchase a flood insurance policy. Know the potential emergency situations you may find yourself in and seek coverage. Live in the midwest? Tornadoes are a possibility. Live on the east coast or in the southern states? Hurricanes and tropical storms are not uncommon. Live on the west coast? Wildfires tend to flare up several times a year. California? Earthquakes and wildfires! Minimum supplies to have on hand for emergencies. Fire extinguisher – at least one in the kitchen. One in the garage is a good plan as well. Make sure all items in it are dry, stocked and not expired. Note where AEDs are when you are out. Most commonly found in large common areas – airports, churches, malls, casinos, schools, sporting arenas, etc. Being prepared is both a physical and mental exercise. Understand your insurance coverage, try to stay calm in an emergency, and always, if possible, know how and when to avoid an emergency altogether. If it is recommended you evacuate, please evacuate. If it is recommended you stay home unless you absolutely must travel, please stay home. If you come across an emergency, call 911 and help as best you can. If you witness a vehicle accident, it is recommended you continue driving and call 911 to avoid becoming a victim or hampering emergency vehicle access to the accident.